Inorganic Pigments significantly change our surroundings. They are irreplaceable for the coloring of construction materials - their applications range from concrete to artist's colors, from industrial paints to toners in photocopiers, from coloring in foodstuffs to raw materials for catalysts. 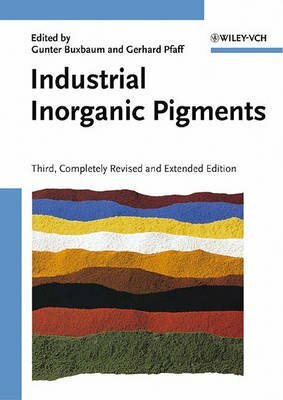 This book offers everything there is to know about inorganic pigments in a concise and thorough presentation: their manufacturing processes, their applications and markets, their testing procedures and standards, and also the health and environmental regulations relating to them. The reader is provided with more than 800 up-to-date references to the pertinent literature, which will be extremely useful for further studies. Over 30 first-class authors from leading chemical companies have created a uniform and clearly structured text, giving an excellent overview of the subject area. This book will be of benefit to all chemists, materials specialists, engineers, application technicians and students in pigment-related fields.